Charlotte, North Carolina (September 12, 2018) – Intermac will host manufacturers from across North America at our showrooms in three different cities in October and November. The events provide centralized opportunities to learn about and experience machine technology firsthand. Inside Anaheim (Calif.) is scheduled for Thursday, October 4. Inside Charlotte (N.C.) will welcome visitors Thursday and Friday October 25 and 26, and Inside Toronto (Canada) wraps up the company’s series of fall events Thursday and Friday November 8 and 9. Each event is designed to give visitors a window into technology and innovations that will help them seize the power of Industry 4.0 and realize the potential of an an era when computers and automation come together in an entirely new way. They will see clearly how Intermac has anticipated future market needs and is successfully translating innovative concepts into practice. Inside Intermac lets visitors take advantage of an opportunity to immerse themselves in the industry’s most cutting-edge machinery. Intermac’s product lineup includes high-tech automation equipment for both glass and stone markets: Intermac models Master Series CNC machinery, Genius Series Cutting Tables, Vertmax Vertical CNC, Primus Series 5-axis Waterjet, Donatoni Bridge saw, Montresor edge-polisher and Movetro handling and storage systems and much more. With a goal of maximizing audience experience in one convenient showroom, the Intermac team will show how its cutting edge technology is tailor-made for processing glass, stone, non-ferrous metals and also deliver a unique opportunity to experience machinery for processing wood, plastics and composite material through our Biesse division. 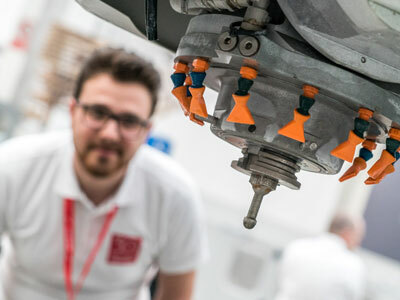 This is also a can’t-miss opportunity for attendees to experience the latest technologies and solutions made available by Diamut tooling as they are demonstrated live on Intermac machines. From polishing, beveling, drilling, notching and much more, there will be plenty to keep our guests interested. In addition, for the first time since it’s opening last month, attendees will be able to tour Diamut’s Redressing Facility and understand how keeping hooded tools can be a warranty to accuracy. 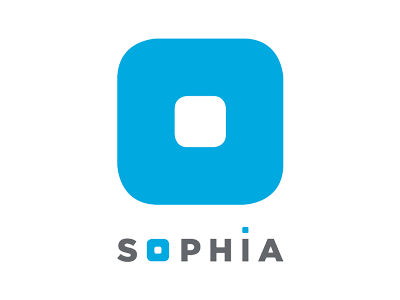 SOPHIA will also be a highlight of the event where visitors can explore SOPHIA, Biesse Group’s new IoT platform and cloud-based software management tool and experience first hand how this innovative technology provides a comprehensive overview of specific machine performance features with remote diagnostics, continuous updated statistics and full integration with our new PARTS Portal. We will demonstrate how the portal makes it faster and easier for customers to purchase parts, check availability and track purchases online 24/7. In addition to seeing technology in action, all three events offer consultations about how to increase facility production with Intermac product managers who each have more than 20 years of woodworking industry experience. 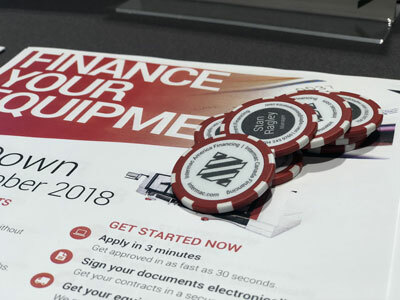 As Biesse Group evolves from a company dedicated to the production of machines into one equally adept at enhancing performance and productivity with highly technological systems, Inside Events are the fastest way to get up-to-speed and increase your bottom line.